Watching the trailers for developer Multiverse’s Seeking Dawn, one may think this gorgeous, full-length sci-fi shooter simply sounds too good to be true. 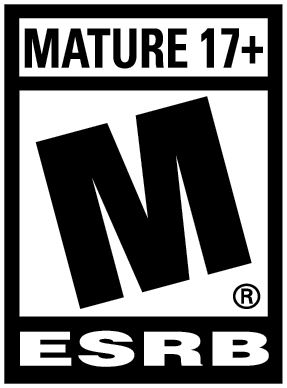 After all, it’s not rare for a VR game to over-promise only to ultimately under-deliver. 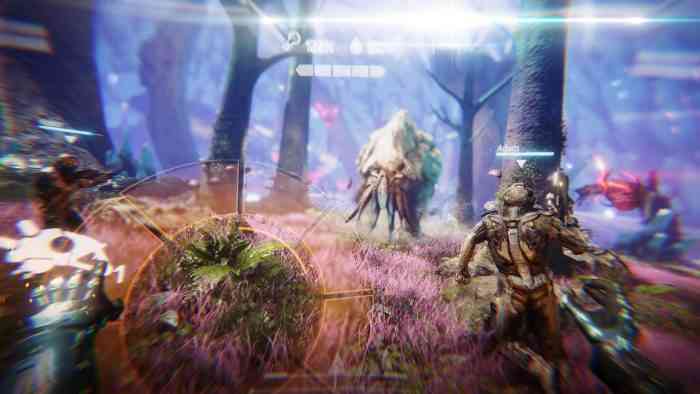 Seeking Dawn mostly avoids that pitfall, proving itself to be a solid space adventure with enough content to keep you coming back. Though far from perfect, its design and technical flaws are nothing that can’t be overlooked. In the distant future, humanity has broken out into a civil war for control of the solar system and beyond. As marine James Weston, you’re tasked with exploring a newfound alien planet to locate both a missing landing party and a weapon to end the war. This story is about as generic as it gets but does the job of getting the ball rolling, providing you with enough reason to venture deeper and deeper into the hostile planet. What is lacking, however, is the voice acting. The captain, who serves as your mission guide, sounds serviceable enough. Sadly, Weston – the character you spend the entire game embodying – is grating from beginning to end. His constant quips are delivered with a tone of levity that takes away from the serious, life-or-death situation at hand. This is one of the rare cases in which I wished for a silent protagonist. Seeking Dawn’s campaign features a linear progression, and its open-world essentially consists of a series of levels, with each separated by a lengthy loading screen. Though this may work against the idea of exploring an uncharted planet, it actually makes for a tighter experience. In VR, getting lost and having to backtrack can feel particularly frustrating, so having strict Point A’s and Point B’s to travel between helps alleviate that issue. Besides, you can always revisit previous locations to further explore and gather resources. Throughout your journey, you’ll encounter a huge array of alien environments and gorgeous vistas. This is where Seeking Dawn shines, as these are some of the best visuals I’ve seen in VR. Every area looks and feels appropriately foreign, adding greatly to the sense of immersion. For a game as long as Seeking Dawn, having that level of visual fidelity really helps to maintain your interest. Of course, it wouldn’t be an alien planet without hostile lifeforms to fight against. Enemy designs are unique and varied — some fly, some jump, and some even shoot back. The gunplay isn’t particularly complex, and that’s not necessarily a bad thing. There are only a handful of weapons available, but each serves a specific function. Reloading is done by a simple tap of the grip button, and since guns come equipped with laser sights, you never have to aim down the barrel to shoot. Aside from the planet’s indigenous species, you also have to deal with hunger and thirst. The hunger and thirst meters, displayed at the top of your helmet, are constantly dwindling and must be refilled through consumables. The problem is that, unlike typical survival games, consumables here are so readily available that this mechanic is rendered a non-issue, becoming instead a source of constant annoyance. It’s made worse when the meters dip beneath a certain threshold, as Weston — whose voicework is already problematic enough — will remind you every few seconds he requires food and drink. Crafting is a big component when it comes to survival. While Seeking Dawn’s crafting system isn’t as extensive as one might hope, there is still enough here to keep you hunting for resources over the lengthy campaign. Making new weapons and armor is critical to tackling the tougher foes, and consumables can both heal you and stave off the pesky hunger and thirst meters. The crafting system extends into a simple base-building mechanic, in the way of constructing turrets and workstations for your outpost, which doubles as a hub connecting the many different areas of the planet. Unfortunately, resource gathering can get quite tedious. The bulk of the materials you require for crafting must be gathered through mining ores and trees, and the process is rather passive — you just squeeze the trigger and wait for a long animation to end before picking up the excavated goods. You’re also given no information as to where to find certain materials, making resource gathering a little too reliant on trial-and-error. One thing that must be commended is how comfortable it is to play Seeking Dawn. From the get-go, you’re offered a huge range of locomotion options, ensuring there’s something suitable for everyone. The large font size makes reading all those item descriptions and mission intel a painless process. There are two inventory systems, both of which are intuitive and simple to use. The quick-equip wheel, in particular, works wonders for when you need to swap weapons mid-combat. Weston’s helmet acts as your HUD, and not only does it help with immersion, it also displays crucial gameplay information in a non-intrusive manner. I especially appreciated how the mission objective can be viewed at any time by simply reaching over your shoulder. Developers Multiverse demonstrates a crystal clear understanding of VR as a medium, and it is these small touches that give Seeking Dawn an edge over similar games of its kind. Even with all its flaws, Seeking Dawn is definitely deserving of your attention. With shooting, crafting, base building, and a sprawling alien planet to explore, there’s plenty of content to keep you busy for quite some time. Though each of those individual elements won’t surpass anything you’ve played before, one can’t deny the level of effort that has gone into making this a smooth VR experience. Seeking Dawn is not the definitive space epic you may have been waiting for, but for now, it’ll do.